This sturdy ceramic mug makes a fun gift for family, friends, and hostesses. 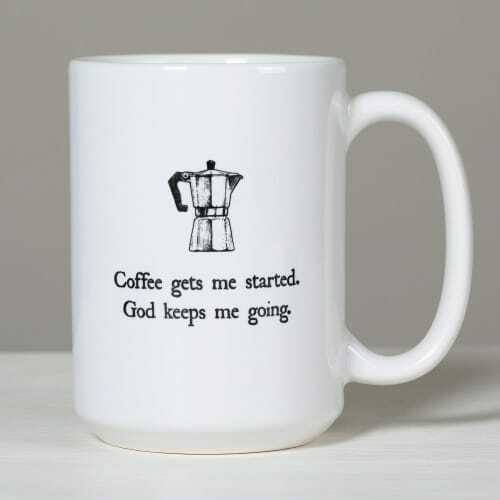 A lighthearted reflection about the daily life of the Christian coffee drinker, the mug reads "Coffee gets me started, God keeps me going." The neutral colors and simple style work for men and women.